If you are looking to make the best choice in home theater receivers, Denon continues to deliver top quality products to help enhance your listening and viewing experiencing. The Denon models come in a wide range of specs available to help make sure everyone is covered. Standing above the competition, there are two main Denon models that should be on everyone’s shopping list. 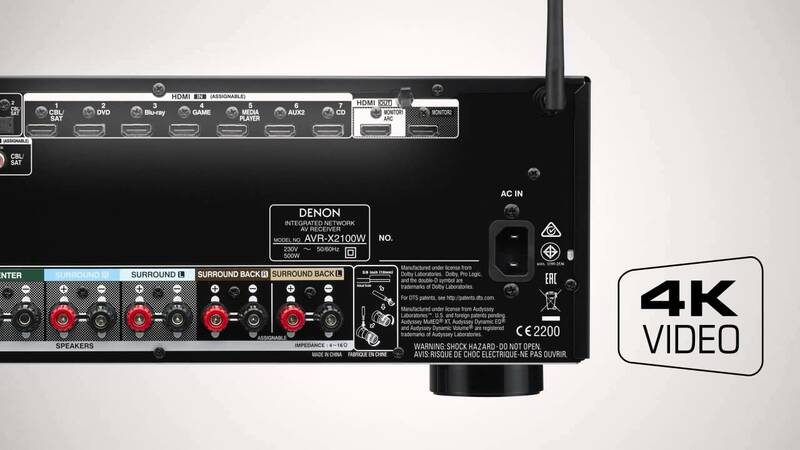 Choosing between the Denon AVR-X1100W Vs Denon AVR-X2100W can be a daunting task. Here, we outline some of the main specs to help you make the best decision on which one can be better for you. When it comes to choosing which of these models is best, you want to check out the features each of these contains. Both Denon AVR models have a 7-channel amplifier offer you more versatility than many other home theater receives will provide. The Denon avr-x1100w has only 80 watts per channel, whereas the Denon avr-x2100w has 95 watts per channel. If the watts are not a huge deal to you, then it won’t matter which of these you choose based on this information alone. Going further, both models have blue-tooth technology and Wi-Fi so you can listen to your music without having to deal with tons of wires and plugs. Both models can easily be controlled with your smartphone or tablet for easy access. Both models are also powered to be used in a second room as they are equipped with the necessary outputs to set this up. Seeing that both models have so many of the same features and specifications, it would be hard to say which one of these is better than the other. In fact, when comparing the Denon avr-x1100w vs Denon avr-x2100w, you would be just as happy with either of these based on all the features they provide for your listening experience.